CPL is a powerful, flexible OEM programming environment for PLUS versions of IntelLiDrives drives. Combining the best features of BASIC, C, and Java, CPL incorporates a rich set of motion system calls. Data types are extensive and include arrays and structures. The availability of both local and global variables enables well-structured code development. 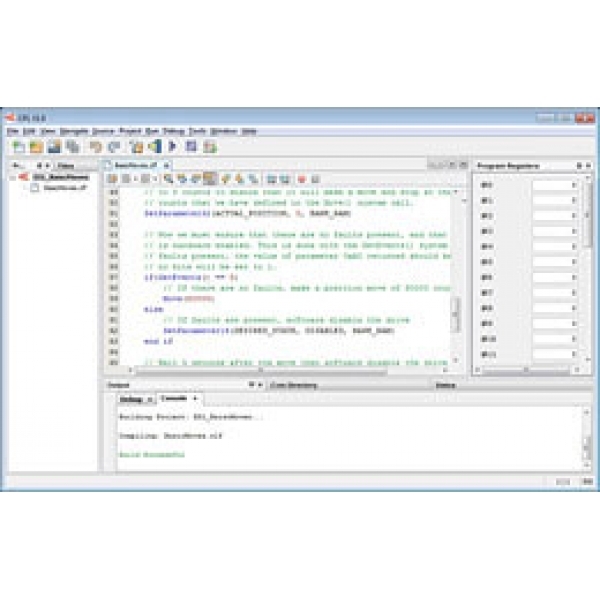 CPL is based on the Netbeans Platform IDE, featuring an intuitive source code editor and powerful debugger. Project templates are provided for easy startup along with a comprehensive collection of example code. For real-time analysis, diagnostic tools can run simultaneously.